Sydney Airport has appointed a former senior Qantas executive to the board. Grant Fenn, currently managing director of engineering services provider Downer Group, has been named as a non-executive director of Sydney Airport. “We are very pleased to welcome Grant as a non-executive director. His wealth of experience in both the aviation and infrastructure sectors will be a valuable addition to the board,” Sydney Airport chairman Trevor Gerber said in a statement on Thursday. Fenn, whose roles at Qantas included executive general manager of finance, associated businesses, airports, freight, flight catering and Qantas Holidays, and deputy chief financial officer, will join the Sydney Airport board on October 1. 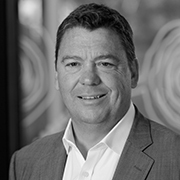 He has been chief executive and managing director at Downer Group since 2010. The appointment comes after former chairman Max Moore-Wilton retired following Sydney Airport’s annual general meeting in May.